I wish if the US military and government wanted to commit suicide they would leave the rest of us out of it. Whether you like Russia or not its just damn stupid to actually push for war with her! Worse than just stupid, criminally-genocidal stupid. The only way it makes sense is to those people promoting the apocalypse so Jesus will return quicker. Or someone who has a way of making a profit and escaping the planet. Similar to the 1960’s anti-war and civil rights movement, I attribute much of the 2006-2011 “waking up” movement to Ron Paul and his 2008 Presidential bid which put issues in the spotlight, (e.g. the Federal Reserve) and which united the masses towards common goals of liberty. Even though Ron Paul never publicly delved into 9/11 Truth, I well remember how 9/11 Truth slowly became accepted with the “Ron Paul supporters”. In 2008, I had a great phone conversation with one of Ron’s son-in-laws who was an engineer and member of Ae911Truth.org. Very true. Anybody back then who could not hear in Ron Paul the most principled and truly anti-war voice in public debate for a long, long time, was deaf. If “leftists” and “liberals” didn’t do a double-take on that, it meant they were brain dead, and sad to say, many were, and have remained so. He also recently made American History by acknowledging it. He was, I believe, the 1st major Washington DC voice to recognize the Kennedy assassination as linked to the CIA. That was the main fly in the Ron Paul soup for me. Where can you stand once you see that a government story violates the laws of physics, not in a small degree, but orders of magnitude? I don’t pretend to know the reason why Ron Paul did not address the 9/11 issue. At the time, I was disappointed in him. Now, in reflection, perhaps it was because he was focusing on main issues during the campaign which would unite people, not divide them. If he had made 9/11 one of his political planks, then there would had been a splintering/divisiveness with his supporters, and would had detracted from his foundational unifying message. I remember the era, because many of his supporters were adamantly sold on the official story. The MainStreamMedia censored how well he was doing during the campaign. The System did everything they could to suppress this true organic grassroots movement. I think I can at least pretend to know. It was a very historic thing for him to be getting the voice he had in the media and the third party swing factor in the Dem-Rep sham. He had long been casually dismissed in the “official” press as an isolationist gold-standard southern kook. I still am not sure whether his presence was “allowed” or truly the result of a populist movement the media could not ignore, but certainly the merest hint of “Truther” would have wiped him off the screen everywhere. It would have been Cynthia McKinney x 1000. She was effectively destroyed politically for calling for an investigation! I am not defending Ron Paul necessarily. It all comes down to whether the political game seems worth playing or not, but if you think it is, he played it in such a “hear no evil, see no evil, speak no evil” way that a lot of people got insight into the economics of War and the Fed who otherwise would not have. Had a man in his position announced that the WTC buildings were blown up, I don’t know, but consequences could well have ranged from ridicule to assassination as far as I am concerned. Also, as a side note, he was already under fire for (what looked to me) like planted “anti-semites” in his campaign. But was vulnerable to scrutiny of his relationship with the oil companies and possibly for some signs of using actual racism in his campaigns. Both those issues were important to me at the time and still are, and I disagree with Ron Paul on economic assumptions, but he was a principled Constitutionalist, truly anti-war and essentially a very decent man. 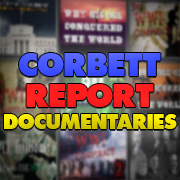 The Corbett Report has some superb past episodes about the Neocons and the “new Neocons” and Russiagate. There’s an economics principle that says “Asymmetric information leads to adverse selection.” In other words, used-car salesmen know more about the car than buyers.” Thank you James for helping us all close the *asymmetric information gap*. I think the singularly, truly terrifying aspect of this Brave New World of Russiagate, cyber hacking, social media memes, breaking news hysteria, trump propaganda, ad infinitum, is the fact that people DO NOT and CANNOT discern the truth of anything. 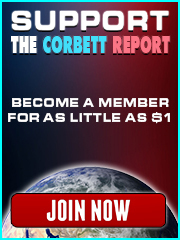 Between the ops, psy ops, and “controlled opposition” ops of the global “powers that shouldn’t be,” the cynical exploitation of vulnerable and/or credulous people by hucksters, the well meaning but inaccurate, badly researched and presented reports of a large part of the alternative media, and the cutthroat, all-consuming rat race most people have to participate in for survival, leaving them little to zero disposable income, time, and energy, most people are trapped in a “wilderness of mirrors.” Because so many factions are inundating us with so many narratives all the time, some true, some half-true, some brazenly false, some reported sincerely but ultimately false, people do not know what to believe and do not have the time, analytical skills, or basic knowledge of a certain subject to really know if a certain explanation can carry water. There is constant doubt and skepticism, which leads to disillusionment and fear. And it’s incredibly easy to believe a narrative that’s false, one or more times, because of this wilderness of mirrors. And this is the dilemma for the people who actually CARE about and WANT TO find out the truth. And then we have the people who fell into believing a single narrative, bc there are so many and the issues are so vast and complex, and decided that that is THE Truth. They sincerely and passionately defend their narrative, because they have decided that one source of information, be it the government/MSM, infowars and its ilk, the sincere alternative media, or even the twitter accounts they follow, has to be IT. They’re done, they found it all out, and everyone and anything that challenges their favorite source of info is false. There is no getting to these people: they are fixed in what they have decided to believe to be true, whether it is the Truth or not. Also, please do not forget that a disturbingly vast amount of people are truly apathetic and live only for pop culture and self. Truth is irrelevant to their lives. Then of course, you also have people who not only believe things that are false, but are actively proud of their own ignorance, proud to promote “the company line,” proud to swallow whatever propaganda or lies so that they feel safe in their little worldview. Think Parsons from 1984. A lot of these people actively DO NOT WANT to know the truth, or if the truth threatens them, they will actively ATTACK THE TRUTH, even if or because of its threat to their false beliefs. It is all very exhausting, and I do not know where it will lead our world. But merely putting the Truth (if we can really know for sure what it is) out there does not guarantee that people will listen or accept it. I’m not sure what else there is to do, but people don’t intrinsically recognize Truth. You have to keep pounding the message in, talking about it, fighting for it, reasoning with people. Keep fighting the good fight like James does with each video he posts. But still, there’s no guarantee that the Truth will win. Which this whole thing reminds me, thank you James. You truly are one of a kind. ashley, you write the truth, and you write it well. I won’t print it out to read before bedtime, because I wake up thinking about it as it is. Some of what you describe has been the way of things in most or all cultures, but what is different now is the speed at which things are moving. One note: there is a definite bias in many people against speaking, as you so bravely do, of problems in detail without providing solutions. There is some of that here, too, if I am not mistaken. Anyway, well done! Well said Ashley. Nothing like stumbling up on a well written comment that sums up how I feel. Thanks for the comfort and clarity. I myself find it hard to sort through the plethora of information out there to find truth with valid supporting details. James has been my go to for sometime now,thank God for this man. Late to the discussion here, but I feel compelled to join john.o and Michael in appreciation of what you said ashley. It feels like you said exactly what has been running around in my head for a long time, and has remained at least partially unexpressed. I would have been very happy to have expressed it so eloquently as you have here. Thank you. It is a privilege to be among such intelligent truth seekers as yourselves. Felt the need to say that for me it was a matter of gradually taking back my own authority. First with honoring the curiosity of “wait a minute, what?” type of thoughts that appear, looking into them and discovering something different from the accepted narrative, and then increasing this process for any and every belief that I hold and can see. That type of processing continued until I saw that we were living and (previously) believing in a story that has been told to us by our parents, teachers, friends, the “news”, leaders. A complete imagination really – with a few “facts” thrown in here and there to keep it believable. It seems that there is some inherent human tendency “to follow” that has been as fully exploited as is possible. So to me it has been a fairly lengthy process of unhitching my wagon so to speak from anyone else. It’s my wagon. I’m responsible for steering it in the direction that I want to go. We’ve been taught and conditioned otherwise. Hitch your wagon here. Hitch it there. Hitch it anywhere, but whatever you do, don’t be your own authority for steering that wagon. Hitching it to anyone is a mistake I’d argue, James included. I know he agrees based on what he’s said. And yet, here we are. I’m not uniquely special or intelligent, so if I can do this, a whole lot of other people can as well. As James says: I’m optimistic. Even in the face of all this. Cheers. Great interview with Daniel McAdams. The “Independent Media” has to support each other like you do in this interview. By doing so you help sort out the Independent from the controlled media. By banning together the Independent Media can win. PS Luke Rudkowski (wearechange) appears to need pat on the back this days. Perhaps James will do an interview with him so that he can expose the censorship and mind manipulation he is experiencing. To me this was one of the more disturbing Interviews in a while. Basically, what I heard (and have experienced watching the YouTube crackdown intensifying as I write) is that we have crossed the line to where there is now more control than freedom on the net. The explosion of “alternative truth” that started with the net itself had now been managed into a discrete window in history, like the days of homesteading in the American West, a casualty of its own success. While ruminating on this, and ashley’s commentary, I was in a corner store and heard the news stooges announce new scientific evidence that suggests we DO something about the proliferation of non-approved truth through the minds of the confused masses. The abstract in Science really has to be read carefully to appreciate its insidious poison. It documents things that I think we all recognize, and then moves in some chilling interpretive directions. “We investigated the differential diffusion of all of the verified true and false news stories distributed on Twitter from 2006 to 2017. The data comprise ~126,000 stories tweeted by ~3 million people more than 4.5 million times. We classified news as true or false using information from six independent fact-checking organizations that exhibited 95 to 98% agreement on the classifications. Falsehood diffused significantly farther, faster, deeper, and more broadly than the truth in all categories of information, and the effects were more pronounced for false political news than for false news about terrorism, natural disasters, science, urban legends, or financial information. We found that false news was more novel than true news, which suggests that people were more likely to share novel information. Whereas false stories inspired fear, disgust, and surprise in replies, true stories inspired anticipation, sadness, joy, and trust. Contrary to conventional wisdom, robots accelerated the spread of true and false news at the same rate, implying that false news spreads more than the truth because humans, not robots, are more likely to spread it. Florida, Staged News Capital of the World (False Flags, Hoaxes, Hybrid Events)? Jimmy? Tucker? Is there really any difference in their m.o.’s? Just ignore the “engineering” because somebody really did get hurt. Like the people involved would have a problem hurting other people under any guise. But why does he have to ignore the controlled context? Could it possibly be OK if Hogg is a stooge? Especially in context that people WERE actually murdered? I like Ron Paul and Daniel McAdams quite a bit. But I admit I had not been watching it as much. Not because its not good, it is good info. I am Burnt out! In fact, recently I have been trying to add “more balance” to my routines. I have been taking a bit of a break from all the world’s insane confusions by focusing more on my sphere of influence towards bettering conditions. I am putting more focus on my efforts with the FLUORIDE issue, both nationally and locally (Dallas area). We are gaining some great inroads. We are on the cusp of a possible BIG WIN. Also, more and more folks are coming to an understanding of just how brutally toxic (cumulative) this stuff is. Another thing… I have been focusing on some aesthetic art projects’ prep work. And Spring gardening work. I enjoy it and it impacts my neighborhood. This year my neighbors are starting to plant food items. Despite being in a rental duplex, I planted more trees. I now have a Pear, Apple, two Peach, a Plum, an Olive, a Pomegranate and god-knows-what growing. Blackberries, blueberries, peppers, tomatoes, many herbs, and more vegetables than I can list. I have a small plot. Part of the front yard I made into a vegetable garden. The smaller neighborhood kids like to play football or baseball using parts of my yard. I am fine with it. I ask ’em to watch out for my plants. But I’ve lost a few trees and plants during touchdowns. Just this past week, a half dozen mixed ethnic kids were begging and pleading with me to let them help me with the front garden as I moved rock borders, planted and watered. I am not exaggerating when I say “plead”. These kids were ‘fighting’ each other to be able to hold the hose or whatever. It was a beautiful scenario. It reinstated my hopes for the younger generation. Their enthusiasm for ‘work’ and eagerness to be able to contribute amazed me.